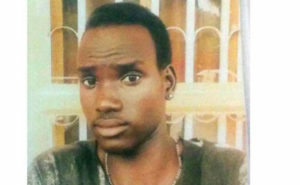 Police in Kampala has arrested four people linked to the mob killing of a South Sudanese student. Police identified the suspects as Josephat Ahimbisibwe alias Ssekimpi, 21, James Okwale, 36, alias Rasta Kigere, Henry Buuti, 20, alias Ipanda and Abed Tugume, 20. 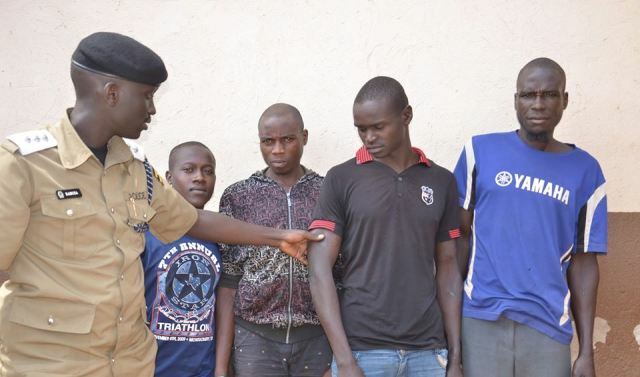 Luke Owoyesigyire, the Kampala Metropolitan Police Spokesman said that the four were arrested on Thursday after the brutal killing of a South Sudanese student which took place on 23rd June 2018 in Katooke. The deceased was accused of having tried to rob a breast feeding mother along the railway line and was believed to have been involved in criminal activities in the area. His cousin reported a disappearance case but was advised to check at Mulago Mortuary where the late brother’s body was identified. Owoyesigyire revealed that a team of officers from Kireka expedited the investigations around the scene of crime area and a number of arrests were made. Onlookers identified the people who were involved in the mob action. The witnesses told police of how the suspects killed the young boy mercilessly even when he pleaded for his life. They revealed that the suspects threw verbal insults towards his nationality as they carried out the heinous act. Owoyesigyire says that more arrests are expected to be made as the matter is still under investigation. The four suspects are currently detained at Kira Division Police Station vide CRB 222/2018 and are charged of murder.